Companies can gain significant productivity improvements and cost savings by optimizing their core business processes. Your purchasing process is no different. Simplifying the purchasing process have many advantages. a) A simpler purchasing process is easy to support and hence lower support or help desk cost. b) A simpler purchasing process leads to better engagement with stakeholders. Simpler the process, easier to understand for your stakeholders. c) A simpler process can lead to better productivity and avoid the need for a larger headcount in purchasing. I am sure there are additional benefits of a simple purchasing process but you get the point. 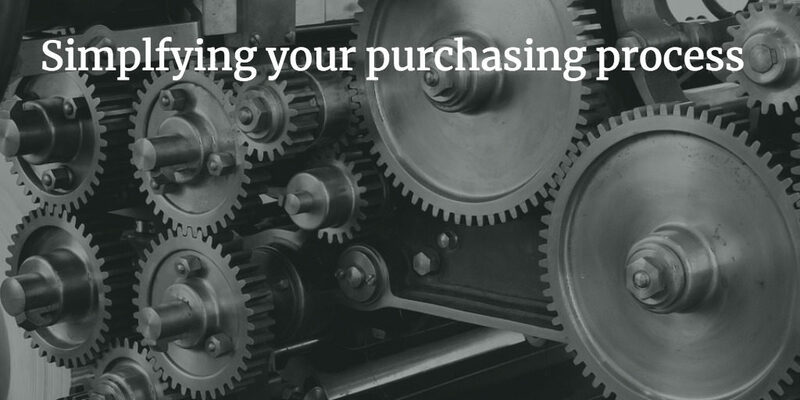 Before we get into more details, let’s first define what is a purchasing process. For the purpose of this discussion, we are going to assume all the steps from the need identification to supplier getting paid. 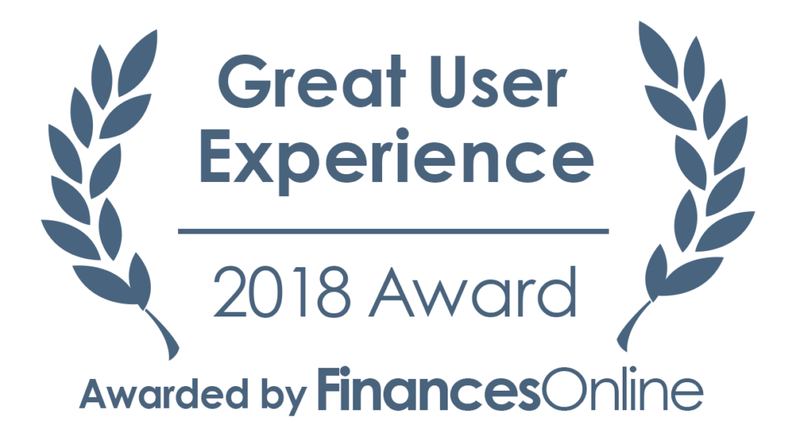 Now you can argue that Accounts Payable is not part of the purchasing process but I would recommend you look at the end to end process to get a complete understanding of user experience. The end users / Employees of the company don’t stop interacting once the purchase order is issued, so why would you only evaluate just the purchasing process. In any Procurement/Purchasing organization, there are two sub-teams. So let’s divide the purchasing process into two subcategories. Strategic sourcing is responsible for identifying saving opportunities by conducting spend analysis. 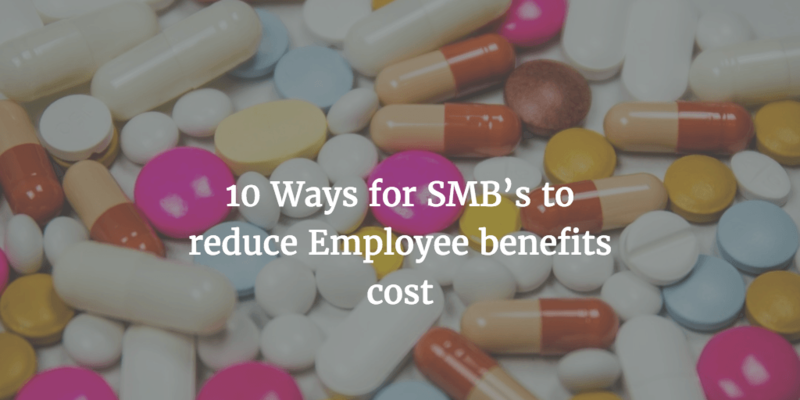 Most of the sourcing teams have an annual savings target assigned to them. Strategic sourcing team is responsible for day to day interaction with vendors to negotiate cost, conducting evaluation through the strategic sourcing process. So what is the ideal strategic sourcing process? The picture above depicts the At Kearny’s seven 7 step sourcing model. The idea is to cover the key steps involved in a strategic sourcing process. The model can be applied to both Direct and Indirect spend but in my opinion, the process is better suited more for Direct materials. If you are only focussed on purchasing, then skip this section and go to the next section on the purchasing process. Sourcing strategy varies from category to category. But there are some common cost-saving models which can be used based on the category. For example, spend consolidation, parts standardization and so on. This step includes building a listing of suppliers who can meet the requirements of a given category. Whether the vendor is qualified or not depends upon different factors which of course depends on the category you are sourcing. For example – if you are purchasing raw materials then there are stringent qualification criteria’s which should be met for a vendor to be qualified. However, for something like IT hardware, you probably don’t need that many details. A simple qualification check could be whether the vendor can provide what you are looking for at a reasonable cost and can meet your delivery criteria like lead time etc. This step involves planning for an implementation path for your chosen sourcing strategy. You can adopt different approaches based on the category. For example – You might take an RFP route for implementing your sourcing strategy or you might decide to run an auction. Think of these as toolsets which can be applied to different scenarios based on the category and availability of the vendors. For example, an RFP might not be the best route for a single source supplier. This step is self-explanatory so I won’t get into more details on this. The negotiation strategy could vary based on the type of the category. For example, if you are negotiating for direct materials or you are trying to find a supplier for a unique commodity, then the approach is very different as compared to negotiating for office supplies. Setting up cadence to exchange information about forecast and tracking deliveries. Defining a vendor performance scorecard so that there is a shared agreement on how the performance would be measured. The key point is to ensure that you all agree on key KPI’ which are being tracked as well as the source of the data which is going to drive those KPI’s. Setting up a schedule for quarterly business reviews. You might want monthly reviews in the beginning especially for new suppliers. This is by no means a comprehensive list of what should be done to integrate a supplier. Compare the supplier performance benchmarks with other suppliers. This could be within the same category or across the categories. Identify what worked in the last sourcing process and incorporate that in your standard sourcing process. Benchmark supplier performance across your peers or your competition. This data might not be readily available, so the evaluation is subjective or based on third-party data. The purchasing process covers the execution of activities involved in issuing a purchase order and paying the vendors. This activity refers to users creating a requisition for the product or service they intend to purchase. Depending on the level of automation, this could be a manual process or automated in some form or fashion. Generally, this is the area where users get frustrated and need training. In this step, the requisition is sent for approval before the order can be created. The objective of this step is to ensure that spend is authorized at the right level. This step involves creating a purchase order for a vendor. The difference between requisition creation and order creation is that in some cases the requisition might not even have a vendor specified or there are multiple vendors. In case of multiple vendors, the requisition is split across different vendor purchase orders. Depending upon the level of automation, this could be a fully automated process. If the process is not automated, this could involve manually keying in the order into the backend system. The next step in the purchasing process is for the vendor to deliver the product or service to the company. In the case of a tangible product, it needs to be received and inventoried if required. In the case of services, a receipt is not required in most of the case. But it is a good practice to create receipts even for services because that is an evidence for your A/P team that the product or service has been received and the invoice is OK to pay. This step includes receiving the vendor invoice. The vendor invoice can be received in multiple ways depending upon the level of the automation and the process established with the vendors. – Vendors sending paper invoices which are then keyed into your accounting system. – Vendor sending invoices through EDI (Electronic Data Interchange) or other forms of electronic invoices. In this case, the data entry step is completely eliminated because the invoice is fully integrated with your back-end systems. Invoice reconciliation step includes matching the invoice with the purchase order to determine any discrepancies. The straightforward outcome of this process is that the invoice is ready to be paid. Companies conduct a 2-way match ( match PO with Invoice) or a 3-way match (match PO, invoice and receipt) to identify these discrepancies. More manual the process, the more time it takes to conduct the reconciliation and as the volume of invoices increases, the process becomes less reliable and more time-consuming. The last step is paying the vendor. The vendors are paid based on the payment terms. Before you get started with simplifying the purchasing process, it is critical to clearly identify what you want to achieve by simplifying the process. Even though the team has a very clear understanding of what they are trying to achieve, it doesn’t hurt to put these in writing. So why are you are trying to simplify the purchasing process? Increasing stakeholder management is key for any successful procurement organization. The purchasing process is, of course, a crucial part of the puzzle. A simplified purchasing process can help reduce the day to day friction with internal stakeholders and hence increase engagement. – Expediting deliveries with vendors. 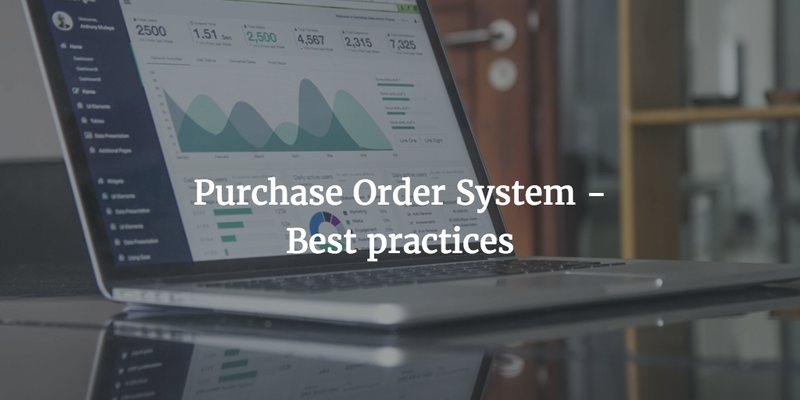 – Guiding users on how to issue a requisition or purchase order. These are some of the activities, but you get the point. 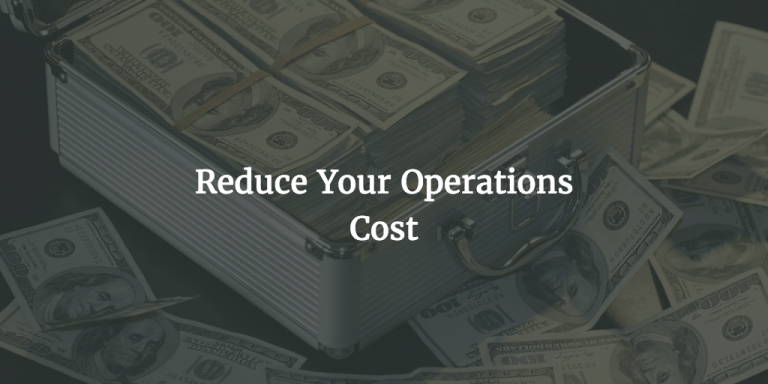 If you can reduce the complexity of the process, which also includes automating the process – then that can lead to reduced operations cost. Spend under management is the spend which is influenced or controlled by the sourcing department. 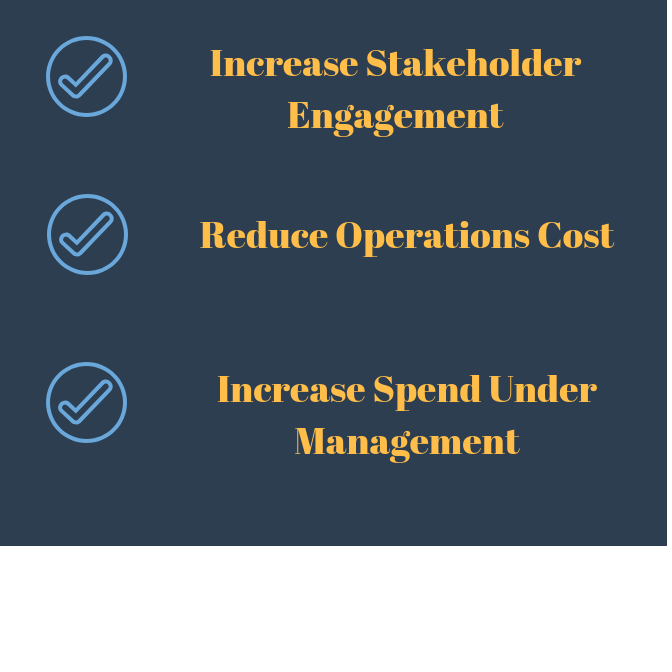 The more spend under management, the better the chance for the procurement department to deliver better savings. What has the purchasing process to do with Spend under management? One of the key challenges with increasing spend under management is to be involved at the beginning of the purchasing cycle. Which is when the stakeholder is thinking about engaging a vendor or set of vendors to satisfy a need. Now if the process requires them to fill a detailed form to engage sourcing then how many people would actually fill that form? My guess that very few people love to fill up forms! Now consider that the process is as simple as clicking a button to engage sourcing and all the users have to do give a brief description to get started – would that reduce the friction to engage sourcing? In my view it does and hence simple process leads to increased spend under management. As mentioned above, there are multiple models for defining your purchasing process but the number of steps in the process is not the correct measure of the effectiveness of the process. For example, if you have a seven-step process or an eight-step process – does it tell you anything about effectiveness? My guess is that it doesn’t. Though you can say that you are following industry best practices. So if the number of steps in a process is not the measure of effectiveness, then how do you go about measuring the effectiveness of the process? 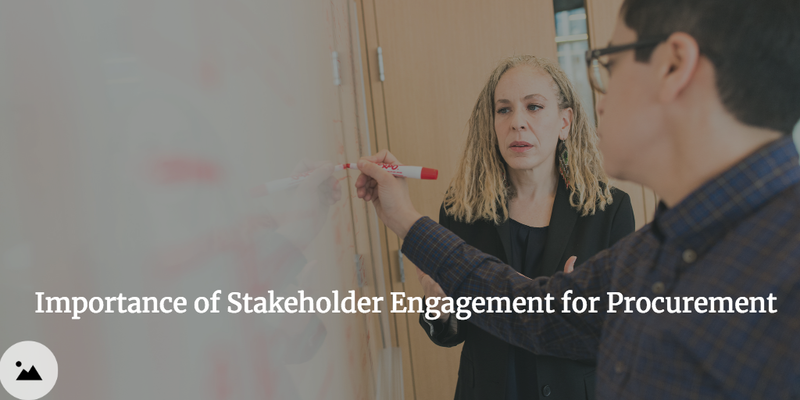 Does the process help in increasing stakeholder engagement? 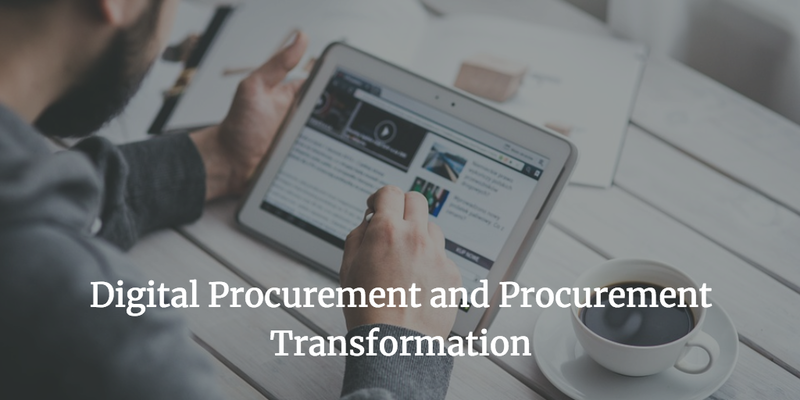 One of the main objectives of procurement is to increase stakeholder engagement. Better engagement is not just good for increasing spend under management but also increase the effectiveness of your sourcing team. So the next logical question is, how to measure whether the current process is helping with stakeholder engagement? I think the simplest way to measure is to look at your annual savings and review the top and bottom departments sorted by spend. 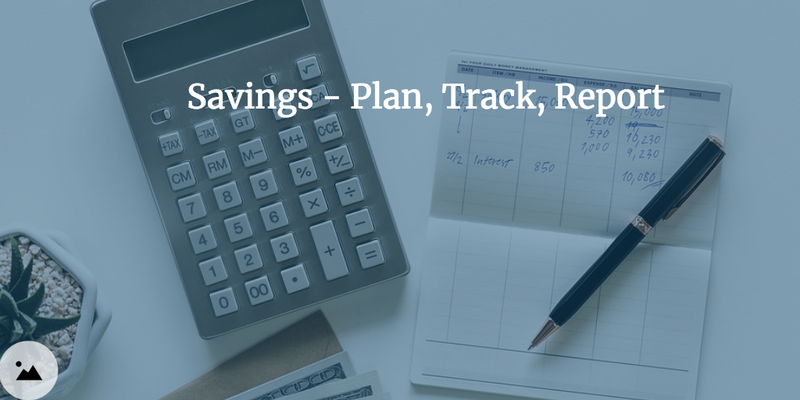 Savings delivered is not the ultimate measure because it depends upon spend under management for that department or category but it is one measure of engagement. The other measure would be to look at the number of RFP’s for different departments. Does the process help you bring more spend under management? The other question to ask is whether your process enables you to bring spend under management. For example, you standard process is to run formal RFP’s for everything which follows your industry-leading seven-step process. Even though in reality these steps don’t take that long (depending on the category) but sometimes that is deterrent enough or I would say excuse for your stakeholders to not engage you. The other example is how simple is your purchasing process. Is this fully automated where they can find preferred vendors and pricing without involving purchasing or is it manual where they have to fill a form to engage sourcing? The end goal should be to design the process with your end users in mind. Nobody gets excited by the thought of engaging purchasing! So why not design a process which is designed for self-service. How happy are your stakeholders with your purchasing process? Probably the simplest way to measure the effectiveness of your purchasing process is to ask your stakeholders. By stakeholders, I mean the end users who are engaging with your team. These could be people who are engaged with your sourcing teams for RFP’s (Request for proposals) or users who are purchasing product or services on the company’s behalf. You could do this through surveys, 1-1 meeting or combination of both. Surveys would give you objective data but then you might need to follow up with individual users to get detailed feedback about the process. 1. How easy is the purchasing process? 2. 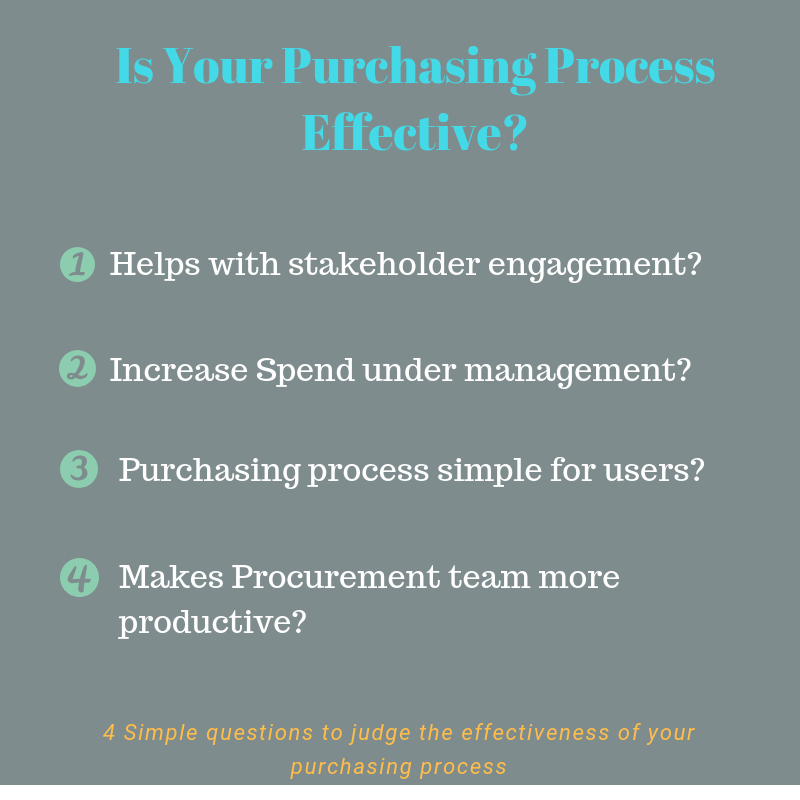 How effective is the purchasing process? 3. If you can change one thing in the process, what that would be? These are by no means comprehensive but keeping the survey simple might increase the participation rate. You can then always go back to those users for more detailed feedback. Does it make your team productive? By team, I am referring to the procurement team. The end goal for any procurement team is to deliver better savings and deliver better stakeholder engagement. So, theoretically, if you are able to do more with less, you can increase the influence of procurement and increase spend under management. – Is the current sourcing process effective? – Is the process effective? – What would you change in the process.? Not every item you purchase needs to go through a formal process and not every bid has to follow a three-bid and a buy, even though it is industry standard practice. So keep your process agile so that it can adapt to the needs of the business and hence increasing the overall productivity of the team. Ok, If you have reached this far, I’m sure you agree with the idea of simplifying your purchasing process but where to start? We can look at two aspects of simplifying the purchasing process. In the section above, we talked about how to measure the effectiveness of the sourcing process, so by now, you know what is broken. Your IT department wants to purchase a project management system. In today’s market, that is a commodity product. So does it make sense to conduct an RFP process where you would write detailed requirements, send it out to vendors and then call for detailed demos? – Do demo with top 2- 3 vendors. Now you may not agree with the exact approach I outlined, but my point is that you should be focussing on the outcome and not the approach. If you have an outcome-based approach, that provides agility to the team and helps them to adopt the process based on the requirements of the stakeholder. Each category is different, so does having a consistent RFP process across all categories make sense? Creating a sourcing process based on the category. Direct spend needs a more holistic approach but indirect spend on the other side doesn’t need a detailed RFP process. Indirect spend process has many variations. For example, the way you source hardware is very different from the way you source software. So having an upfront RFP process for each category would help boost the productivity of your team. Do you need a process for each category? The short answer is no. Based on your categories – you probably should be able to manage it with 2-3 subprocesses. Enable your end users to get their own quotes. Self-service use cases are not new to procurement. Users using catalogs to order product or services is a good example of self-service. Can the users get their own quotes without involving sourcing team? The answer is yes and that would lead to increased spend under management and improved engagement with your stakeholders. The challenge would be to ensure that compliance is enforced and your purchasing policies are adopted. Manual Audits of the quote: Purchasing team can conduct manual reviews of quotes to ensure the purchasing policy is being followed. For example, your purchasing policy requires two bids over $10,000 in annual spend. 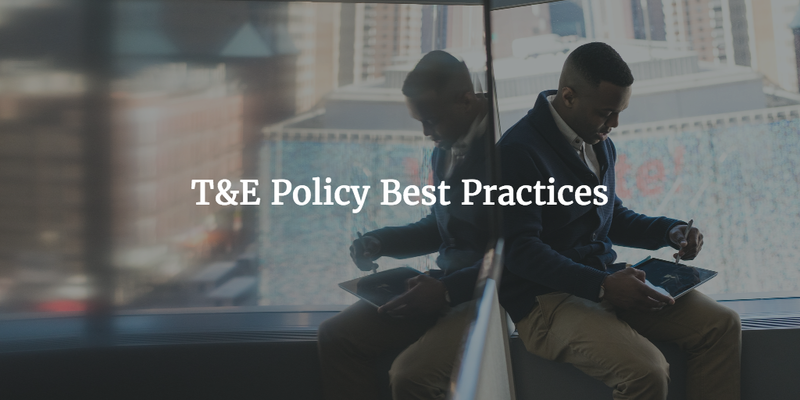 To ensure the policy is being followed, your team should conduct regular reviews. It is time-consuming and needs dedicated resources to have this done on a consistent basis. So let’s look at an alternate approach which is more full proof. It can automatically ensure that purchasing policy is followed. Let’s say based on anticipated spend and type of category, the system can automatically suggest 2-3 vendors who can be invited to bid. In cases where you have a sole source vendor strategy, the system can route the quote to that specific supplier. The second benefit of using a quoting system is that it allows you to audit the process at any time since all the supporting data is in the system. Your team doesn’t need to go looking for emails to find out the old quotes. It simplifies the user experience because users feel enabled instead of going to a strategic sourcing team for every purchase. As defined above purchasing process deals with the execution part of a purchase cycle. The process starts with a user creating a requisition and end with vendor getting paid. You can argue that the invoice management process is not part of purchasing and which is true. But when you are looking at simplifying the process, why only looking at half of the process. So here are a couple of steps you can take to improve your purchasing process. Every organization has a spend authorization process. To goal is to ensure that the spend is approved at the right level before the purchase order can be sent to the vendor. In smaller companies, the use of purchasing credit cards is common but having a purchase order process can help in controlling unauthorized spend. That is not possible with purchasing cards. A common source of complexity in the procurement process is the number of approval steps required before an order can be sent out. The higher the number of approvals, longer it takes for the order to be approved. Especially, if the approvals go to senior management – because they are often traveling. So look at the number of steps in the process and determine whether it is simple or do you have a complex process. For example, you don’t need office supplies order to be approved by the Director of the department. You can simplify your approval process by implementing a threshold for approvals such that each order doesn’t go all the way up the chain for approval. You can also have a category based approval so that additional approvals can be added based on the category. Automation of the purchasing process. Automation of the purchasing process can not just simplify the experience for end users but also leads to a reduction in the cost of processing a purchase order. It provides a standard process for purchasing and all of the manual steps can be easily automated. For example – if your company use a paper form or electronic form for purchase then that could lead to delayed orders and long approval time. This can be easily automated and simplified by implementing a purchase order system. It is much easier to implement approval workflows and ensure compliance using an automated system as compared to a manual process. It reduces the training requirement because of the use of self-service procurement. It makes the purchasing staff more productive which allows them to focus on more value-add activities instead of tactical activities. Another easier way to simplify the purchasing process is to provide catalogs for repetitive purchases. This eliminates the need for redundant data entry by your users. There are multiple ways of implementing catalogs for purchasing. Any modern procurement system would have built-in catalog functionality. This is an easy way to cater to the needs of users who buy same or similar products again and again. A good example of this is categories like office supplies, IT categories like hardware and software or MRO categories. The other approach is to build an item master in your ERP system. The problem with this approach is that most of the item masters are designed for direct materials and doesn’t extend well to the need of indirect procurement. Our recommendation is to use a modern procurement system like ProcureDesk – Sorry for the shameless plug for ProcureDesk! 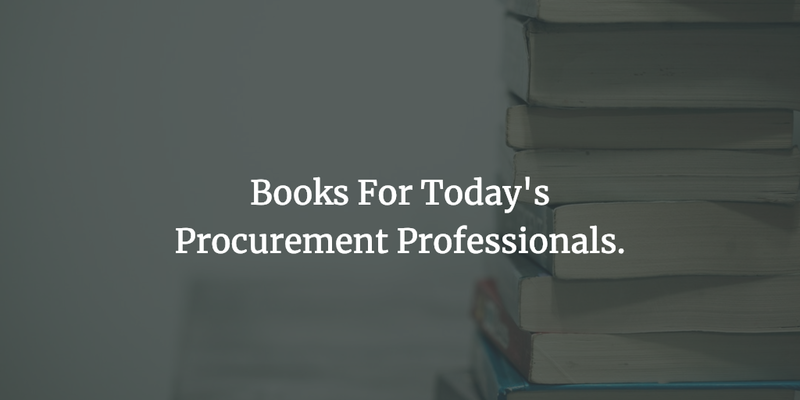 But whatever system you use, any modern procurement system should be able to handle the catalog requirements. A comprehensive purchasing process is critical for ensuring compliance and a must for supporting the growth of the company. The key is to focus on areas which have the highest impact on your purchasing process. Leave a comment and tell us how you are simplifying your purchasing process. Can a purchasing system help you simplify the purchasing process? See for your self, register for a personalized demo.